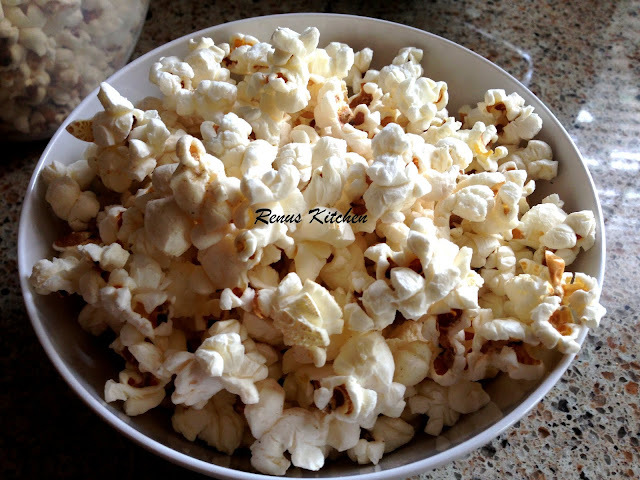 Heat generous ghee and when it is hot add 2-3 popcorn kernels and cover the pan. When the kernels pop, add rest of the kernels. Cover the lid and reduce the heat to medium and wait for the kernels to pop. Keep shaking the pot occasionally so that the popped kernels don't burn. Once, the popping slows down, turn off the heat and open the lid. top it with some butter for rich creamy flavor.